Head to Lions NEAFL Twitter account for score updates and player stats throughout the match. Last time the two sides met, the Brisbane Lions and GWS Giants produced the first draw of the 2018 NEAFL season in a see-sawing contest at the Gabba. The Giants had the ascendancy for most of the day but were unable overcome the fast-finishing Lions in the 14.15 (99) to 14.15 (99) finish. 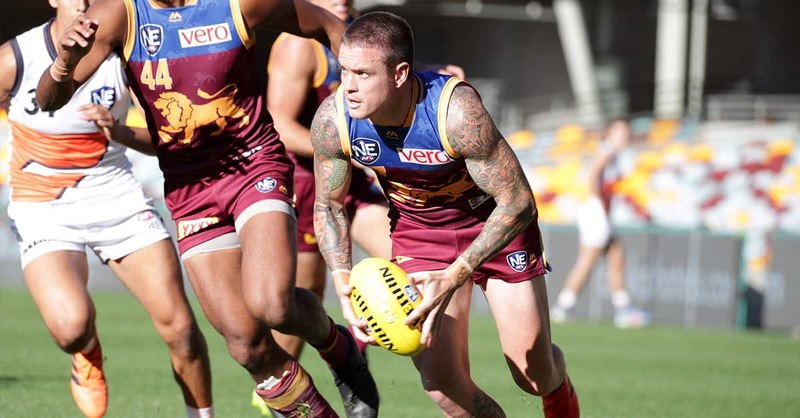 After a month of virtual finals and battling for sixth spot with the Giants and Gold Coast Suns, the Lions have secured a spot in this year’s finals series following a 91-point victory over the Suns last weekend. The Lions have named a 26-man NEAFL squad for Saturday's clash. The team will be finalised following the announcement of the Lions' Senior team at 5.00pm on Friday. After suffering a calf injury last time the Lions met Giants in Round 16, Tom Fullarton will make his return on Saturday. Mitch Hinge (shoulder surgery) and Liam Dawson (calf) will both miss the weekend's clash due to injury. With the Giants placed seventh on the ladder, on a significantly lower percentage than the Lions, they would need to win by a huge margin in order to push the Lions out of the 2018 finals campaign. Although it is exciting for the Lions to be so close to qualifying for finals again this year, their focus is on winning this week and treating it as another finals clash. “This week’s game against the Giants will be a challenge, as will finals, but we just need to concentrate on winning this week,” NEAFL Coach Mitch Hahn said. IN: #47 Tom Fullarton, #54 Justin Currie, #52 Will Martyn, #35 Ryan Lester, #14 Josh Walker, #33 Zac Bailey, #36 Rhys Mathieson. OUT: #42 Mitch Hinge (Injured), #24 Liam Dawson (Injured), #57 Connor McFayden (Injured), #53 Tom Matthews (Omitted). Round 16, 2018: Brisbane Lions 14.15 (99) draw with GIANTS 14.15 (99) at the Gabba. Round 12, 2018: GIANTS 22.14 (146) d Brisbane Lions 18.3 (111) at the Gabba.